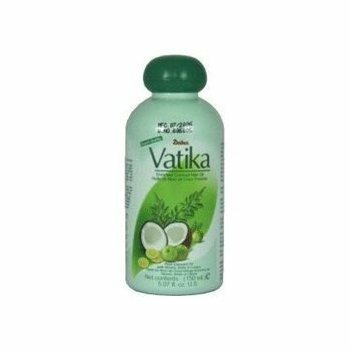 While transitioning, I tried Vatika Hair Oil and my hair was a tangled mess! It was really bad that I almost cried. Since then I have put this product on sale at Lola's Green Hair, and since it had not sold, I decided to retry it AGAIN on my natural hair. I want to apply this same principle when trying products. My hair has changed a bit from when I was transitioning to now. I loved the results in the morning. My hair was soft and fluffy. This is now a definite keeper! I am so glad I did not give up on this product. Do you have products that did not work while you were transitioning, but now work on your natural hair? 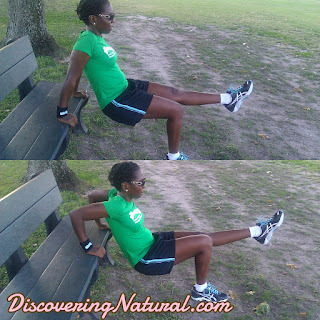 As a blogger, I keep a journal of all the blog and video ideas I will like to share with you. 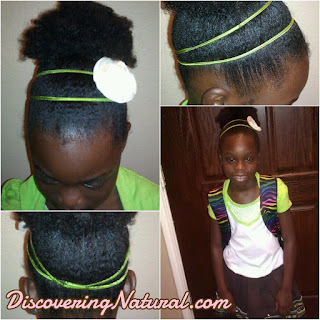 On the top of my list is Hair Porosity. While doing my research I came upon this intelligent YouTube video by HairCrush. She broke it down in a language that I understood and that I know you all would understand. Hope you enjoy the video. 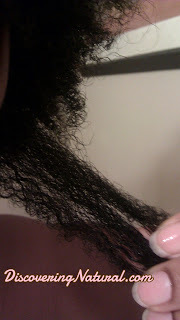 I will be testing the porosity of my hair on my next wash day. Do you know if you have high or low or normal hair porosity? How do you manage such hair? 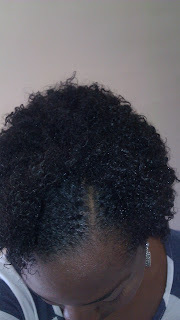 I liked the softness that I got from the combination of Shea Moisture Curl Enhancing Smoothie and EcoStyler Gel (Argan). Even though the gel had max hold of 10, the SMCES helped reduce the crunchy effect. I also got great shine from the gel. 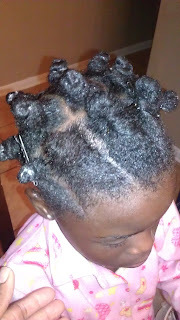 The only issue I had was that I had whitish residue while twisting and the products took all night to absorb. This could be that maybe I put too much product. It could also be coming from the Giovanni Direct Leave In conditioner. Would you like to request a video tutorial? Comment below. It's been one week since I have been natural. I have learnt so much about my natural hair but the biggest lesson is the vast difference between transitioning hair and natural hair. The first impression of my natural hair was that it was quite thick and dense compared to how thin it felt while transitioning. I think that the relaxed ends pulled compacted curls of the new growth downwards, giving it a looser/ thinner feel. Currently, I am still using the same products that I used while transitioning. For those just starting off on their transitioning journey, I would advice to start treating your hair as if it were natural. 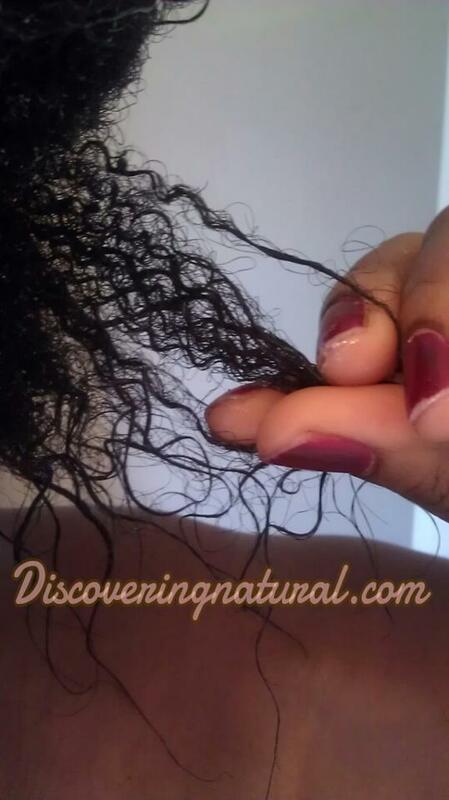 This means doing away with hair products that work on relaxed hair more than on natural hair. This really helped me through out my transitioning journey, and even until now. I believe that my new growth got used to the products and after I did the big chop, it did not go into shock as others who have big chopped have experienced. My hair retained moisture and kept its luster. If you transitioned and have big chopped, what are the differences you noticed after the relaxed ends were cut off? 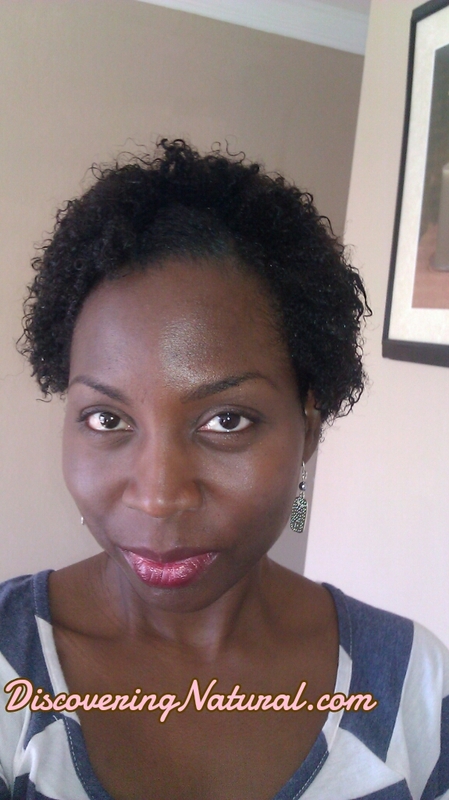 While I was transitioning, I did the Curly Girl Method and it really helped to keep my new growth moisturized longer. ﻿Although I was unable to do Wash N Go while transitioning because my relaxed ends would always stick out, I decided to try it out now that I am fully natural. 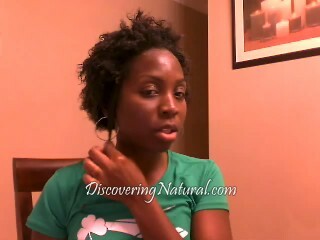 The video below demonstrates how I did my very first Wash N Go style using the CG method. I think I was a bit heavy handed on the Eco Styler Gel. After about 5 hours my hair was fully dry. The top was quite hard and crunchy. I did not like that. I however liked how it made my curls pop. Another thing was that I did have LOTS of frizz. 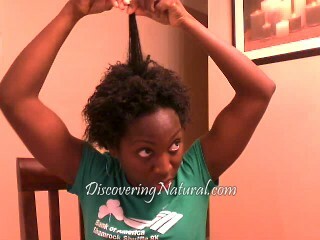 The shrinkage was so much!! But I am gradually learning to embrace it. Next time, I will try to just do it without the gel or... maybe try Let's Jam Custard. I have heard that it doesn't give as much crunch factor. Overall, I love the outcome of my first wash n go style. At night, I spritz my hair with water and gently massaged it all over my hair, making sure to coat all hair strands with water. This helped soften my hair. I then sealed my ends with castor oil. 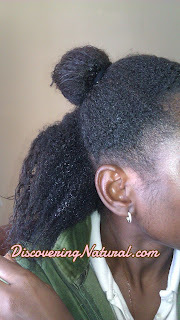 I also applied castor oil to my edges, which have now successfully grown in. How do you do your Wash N Go? 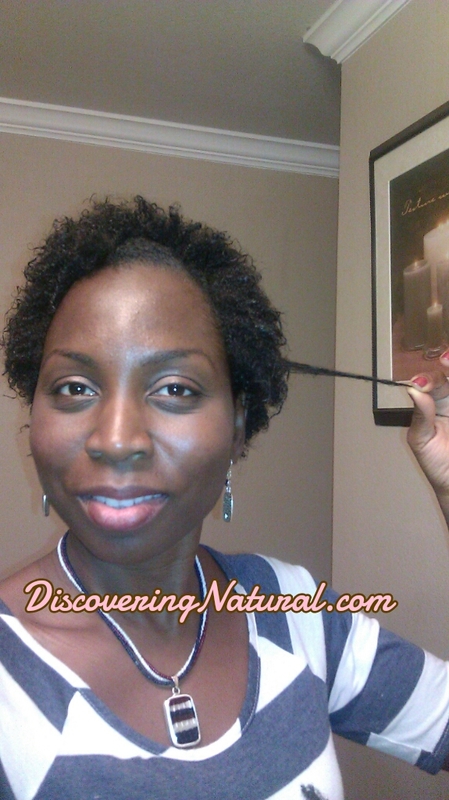 After chopping off my relaxed ends, I decided to two strand twist my hair for my first all natural hairstyle. I have always wanted my first style to be a twist out. I was so scared to over fluff my hair and create frizz. But now, I think I should have fluffed more. LOL! 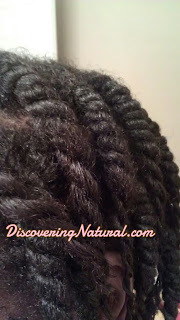 When I got back from church, I decided to quickly remoisturize and put my hair back into two strand twist. It was very tempting to just play in my hair, but I am trying not to develop HIH syndrome. To remoisturize my hair, I first sectioned off my hair into four parts and for each part, I spritz with water, applied a quarter size of Generic Paul Mitchell "The Conditioner", and Taliah Waajid Style and Shine, and retwisted. I then covered my hair with my satin bonnet. Before going to bed, I checked my twists to feel if they were dry and needed to be remoisturized, and they were still so soft and moist! Yeah! 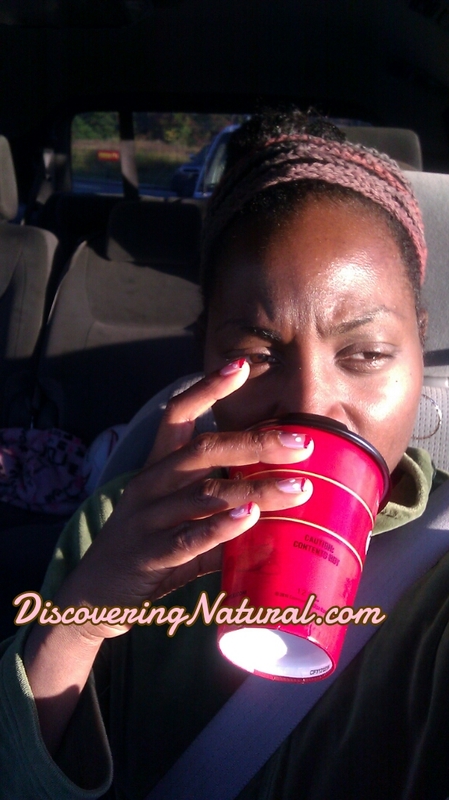 Why all this moisturizing after big chop? From all the research I have done on What to do after big chop, I found out that it is very important to moisturize your hair frequently after the big chop because your natural hair will be in some kind of shock. I am still waiting for that shock factor. hmmmm Maybe since I BC post one year, my hair does not acknowledged that factor. LOL! Anyways, my plan for the next couple of days is to just listen to my hair. Use my sense of touch to see if I need to moisturize my hair. I will probably do something for Thanksgiving, not yet sure what. If you have any tips for me like how often to co-wash and all that stuff, please help a sista out! Thanks. After one year and 17 days, I finally big chopped! This week has been full of struggles and I just gave in. I have no regrets because I was ready. Watch the video below for my big chop experience. Enjoy! Let the moisturizing and the cool natural hair styles begin!! When I reached the one-year mark of my transitioning from relaxed to natural hair, I could officially consider myself as a long term transitioner. Unlike other transitioners that have struggled through the journey, mine has been relatively smooth sailing. I am not saying I did not have my issues with tangling up and breakage, but my natural hair has cooperated well with my relaxed ends, most of the time. Yesterday, as I started my moisturizing and sealing process, I suddenly had to urge to do some "chopping". No, not big chop style, but a trim, which to some might seem like a mini-chop. So, I decided to chop about 2 inches off my relaxed ends. 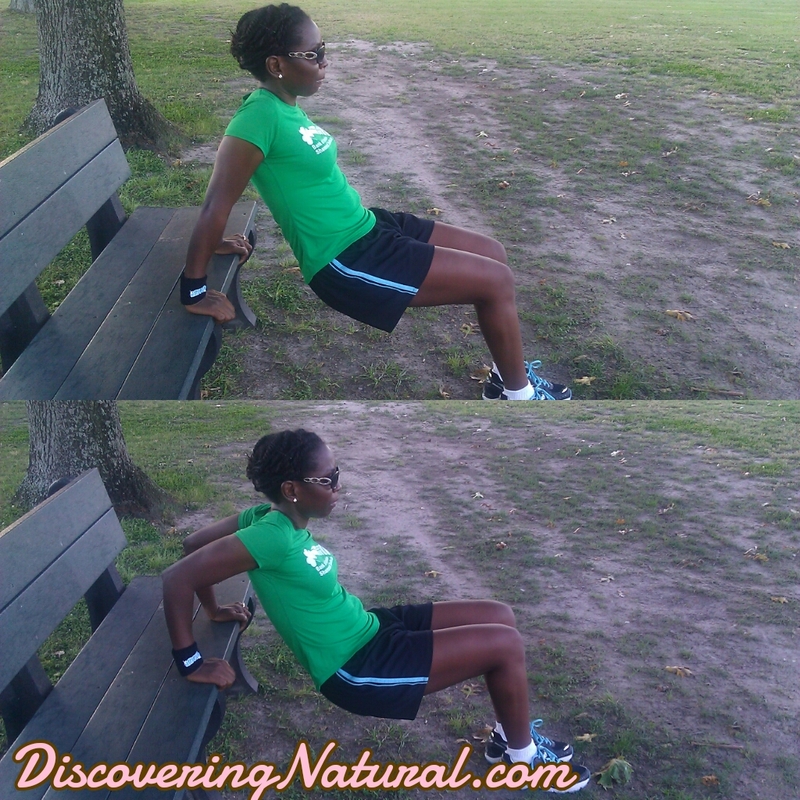 In some areas, I was a little bit scissor-happy, LOL, and took off about 2.5 inches. Overall, I am happy that I did. Now, looking at the amount of relaxed ends I have and the rate my hair is growing, I am giving this journey about 6-8 more months. Washing my hair, once a week. Putting it in a protective style for 5-6 days out of the week. Deep conditioning, once a week. Co-washing with a moisturizing conditioner, three times a month. Washing with a sulfate-free shampoo or a clarifing shampoo (if buildup exists), once a month. Are you a Long Term Transitioner? What struggles are you having? What have you learnt so far? As a busy mom, I am always looking for ways to simplify our hair routine. After wash day, I always oil the girls' scalp daily with my natural oil mix. But recently, I have been reading mix reports regard scalp oiling. 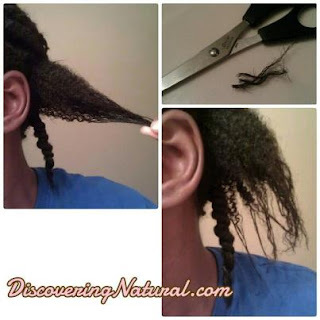 So, I decided to do a week long experiment to see what would happen if I do not oil Big Sis's scalp as frequently as I did. Day Four: The back of her head had major dryness issues. Day Six: She was experiencing some itchiness. Day Seven... we stopped the experiment and concluded that for her scalp, a daily dose of scalp oiling and massaging was VERY crucial! 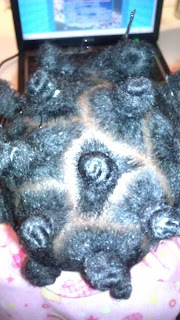 To rid her scalp of the dandruff, while her hair was still in cornrows (shown above), I wet her hair with water, and generously applied Shea Moisture Purification Masque to her scalp. Left that on for about 30 mins, then co-washed with Tresemme Naturals Conditioner. I left the conditioner on her hair for about 5 minutes and rinsed thoroughly. After this was done, I applied my leave in conditioner, and oiled her scalp with my natural oil mix which also included Rosemary oil and Castor oil. She is no longer experiencing itchiness and dandruff is gone!! Hasta la vista, baby! Conclusion: Do YOU!! Sometimes what works for others may not work for you. But it is worth trying out. Never be afraid to try out something new! I workout regularly throughout the week. I usually have my hair in twists or braids when I work out. Since I am keeping my hair in a bun all week, I did not do anything, but just put on a headband and go! I am really loving this bunning experience. The only thing was when I lay down to do my core exercise, it was not too comfortable. After working out, all I do is to moisturize just my edges. I did not need to remoisturize my hair since the effect of yesterday's moisturizing was still effective. 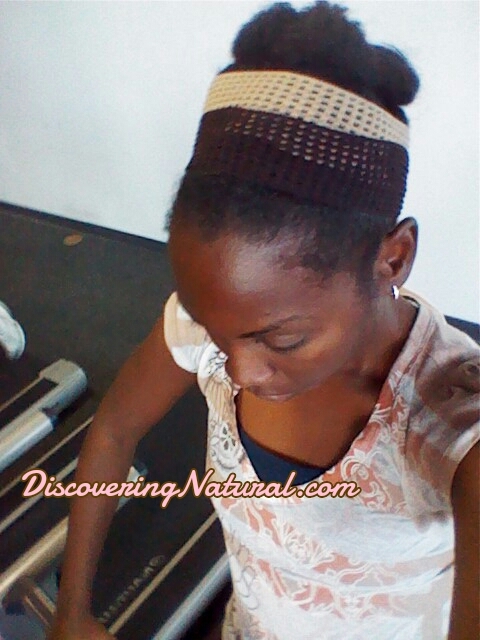 How do you style your hair when you workout? 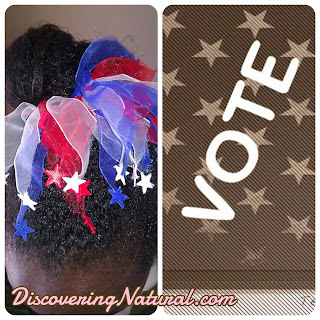 It's Election Day... Decision Day! 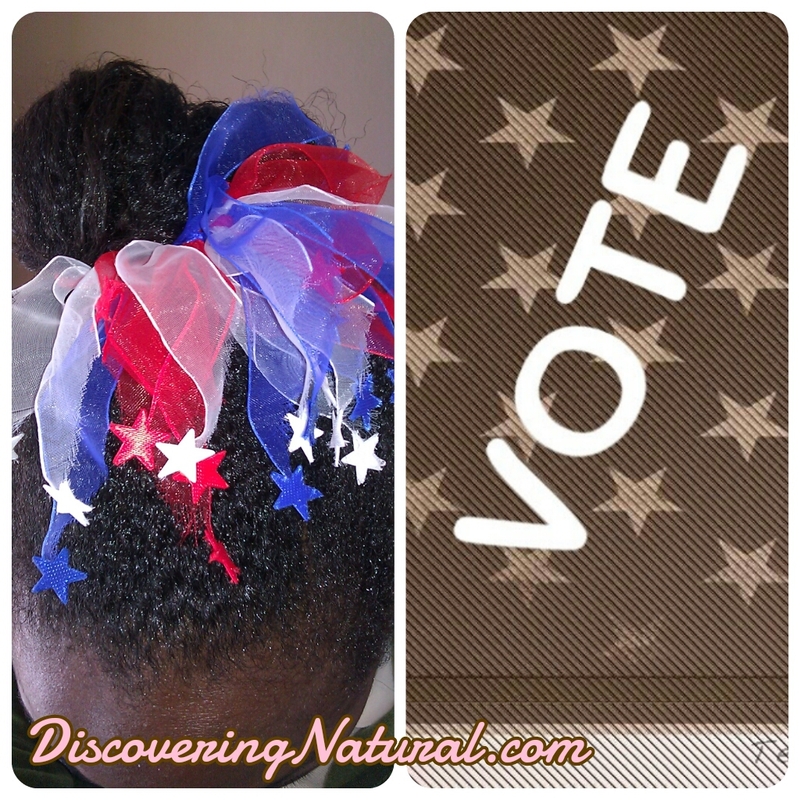 If you have not yet voted, please go and vote. 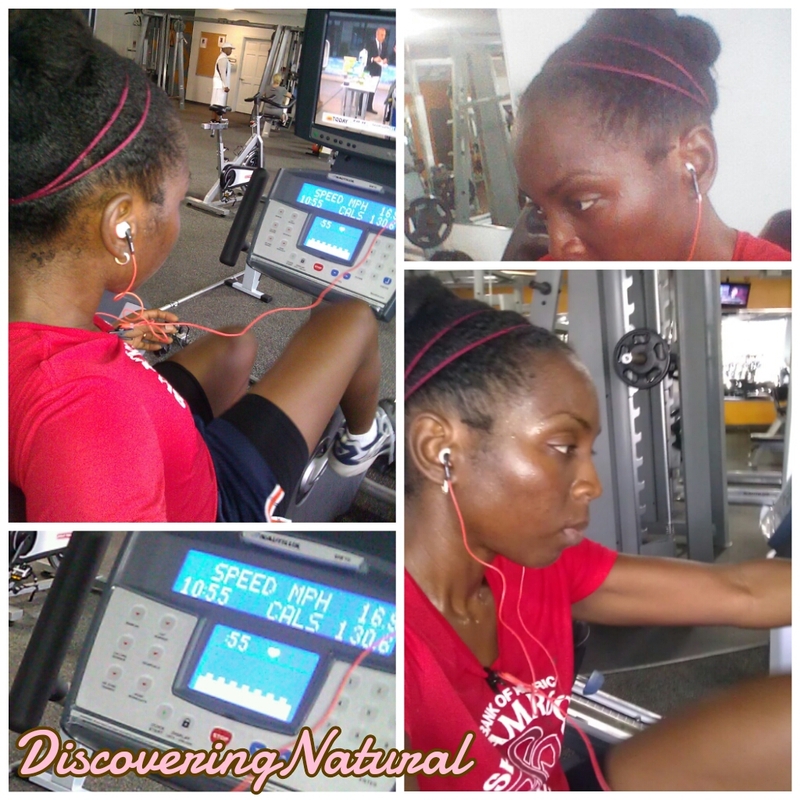 After I got back from the gym, I decided to refresh my bun. Taking one bun section down at a time, I lightly misted my hair with water, and then spritz my scalp with some water. 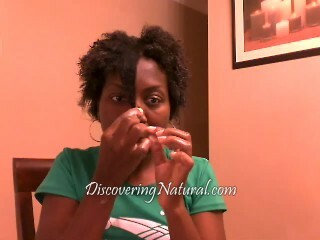 I then apply some oil to my scalp and edges. I put some oil on my palm rub together and just smoothing it on the length of my hair. 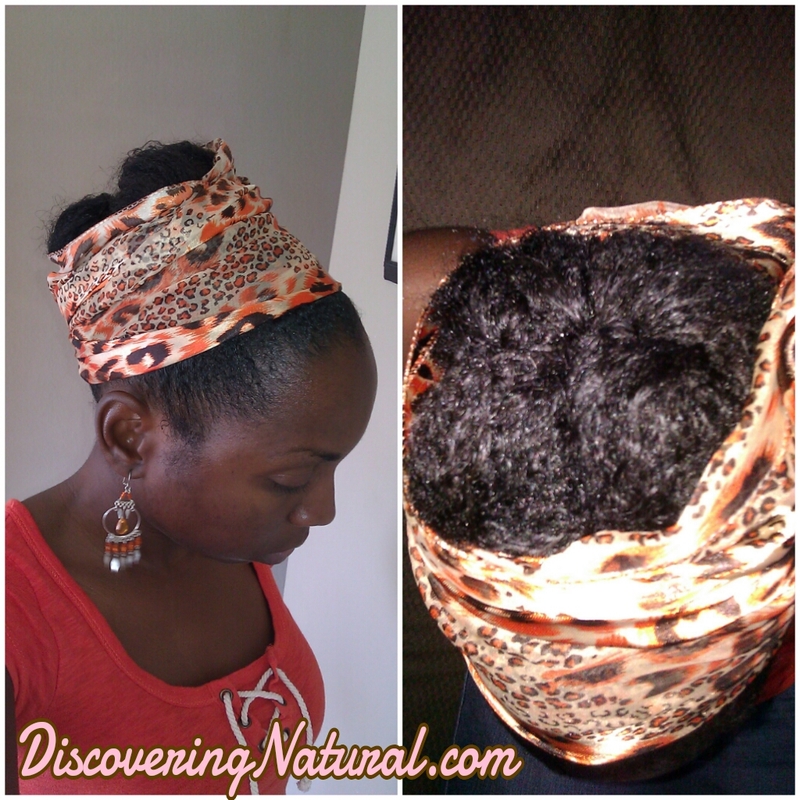 I moisturized my hair with Taliah Waajid Curl Sealer. I love the way it moisturizes and also makes my curls and waves pop! After all this was done, I secure my bun and twist the ends and pin down. Video on Maintaining my Bun coming soon!! I have decided to bun my hair all week long. 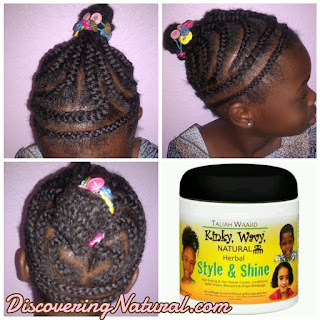 Bunning is a low maintainance protective style. It is a protective style because all my relaxed ends are protected and tucked away from the elements. I love this style because as long as the bun is kept looking neat, you don't really have to do much with it. 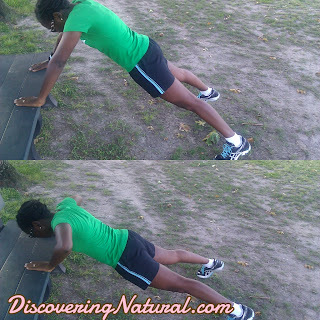 It is an awesome style for working out. After I was done working out, I removed my headband, wet my hands and smoothen my hair with it; going from my edges to the base of the bun. I then applied some oil mix to my palm and smoothen my hair with that. I put some Nubian Heritage Grow and Strengthen Treatment Masque on my edges, and tied my cheetah print scarf around my head. 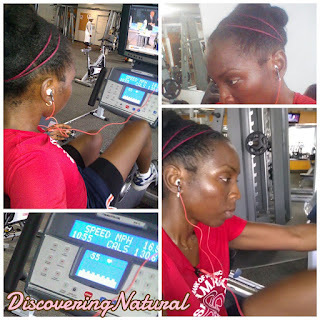 I love working out at the gym, however, there are times when I can't get to the gym to do my strength training. 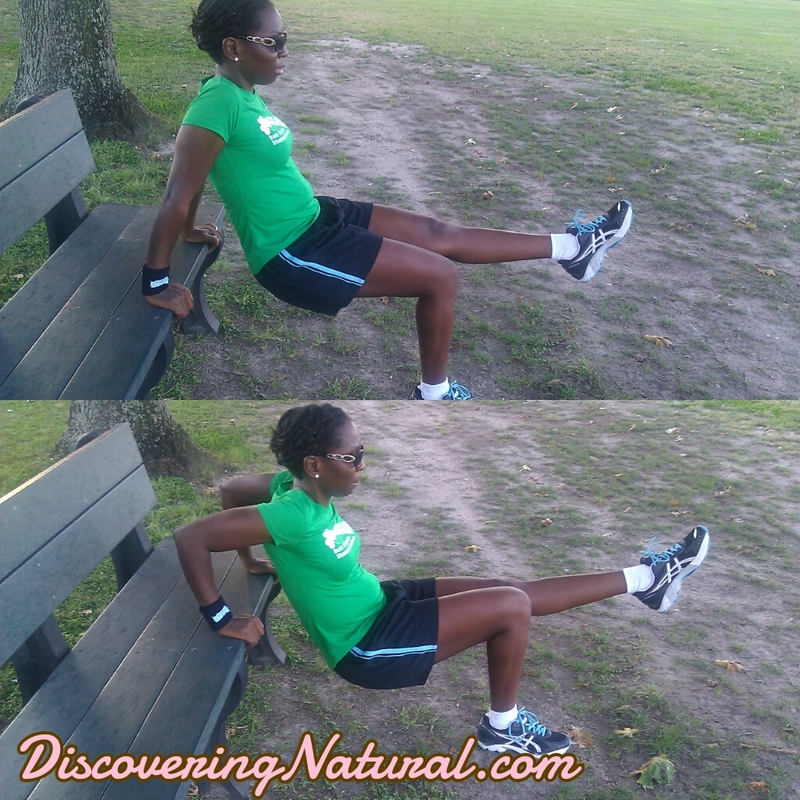 Here are some easy upper and lower body workouts you can do anywhere, as long as you have a chair. Try doing these steps while watching the TV when on a commercial break. Do these steps 10 times for 3 sets. 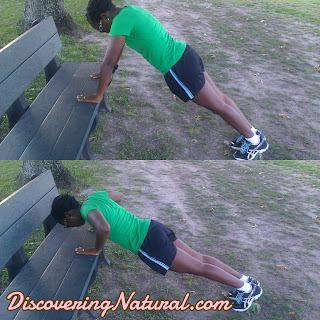 Works out your triceps, biceps, chest, back, shoulders. 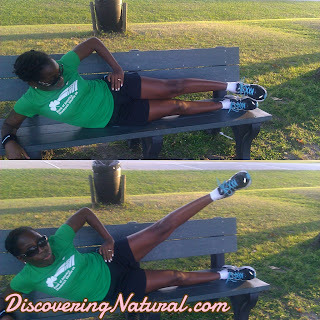 Keep your legs in a spread position. For more intensity, stay on your toes. 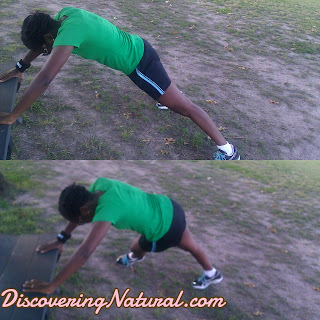 Works out your triceps, biceps, chest, back, shoulders and glutes. 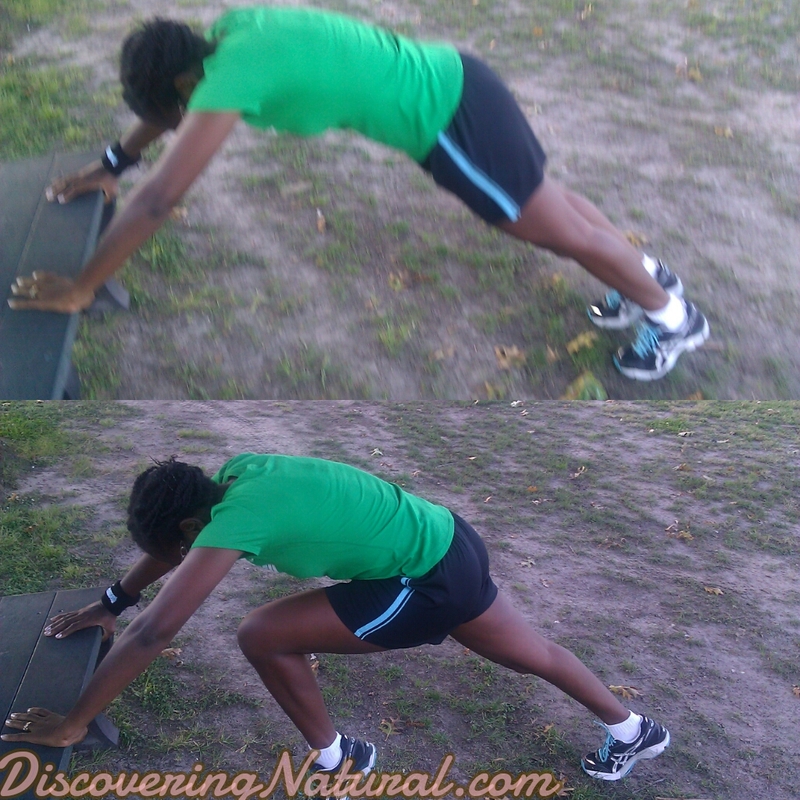 Move foot back to starting position. 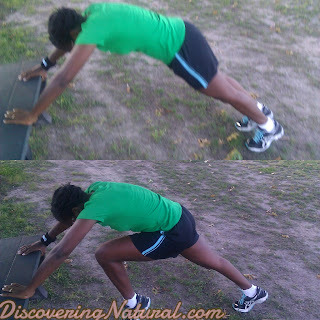 Works out your abs, legs, hips, and glutes. 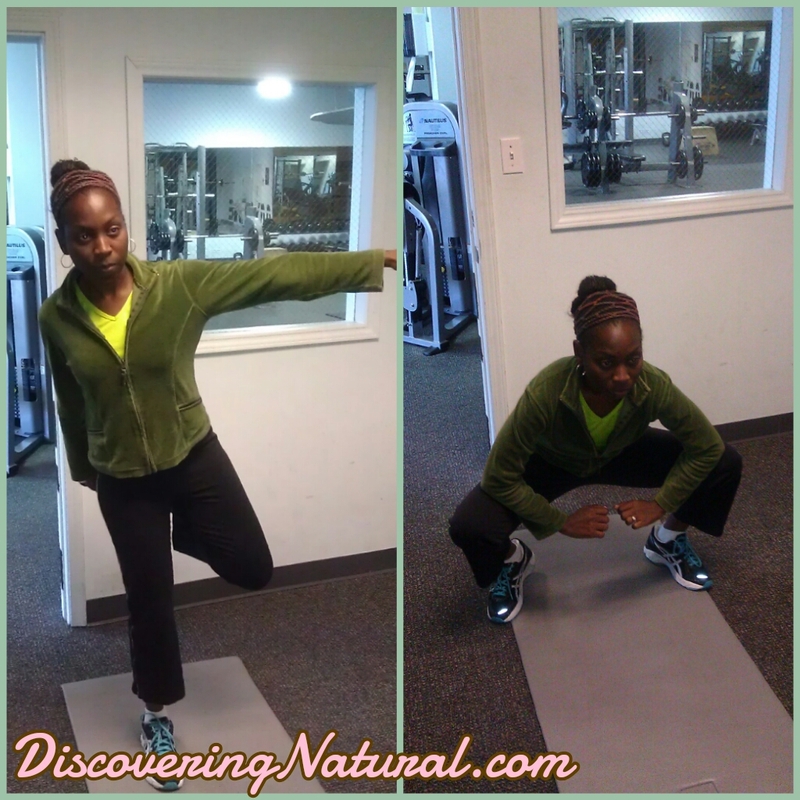 Works out your hips, thighs, glutes, and legs. 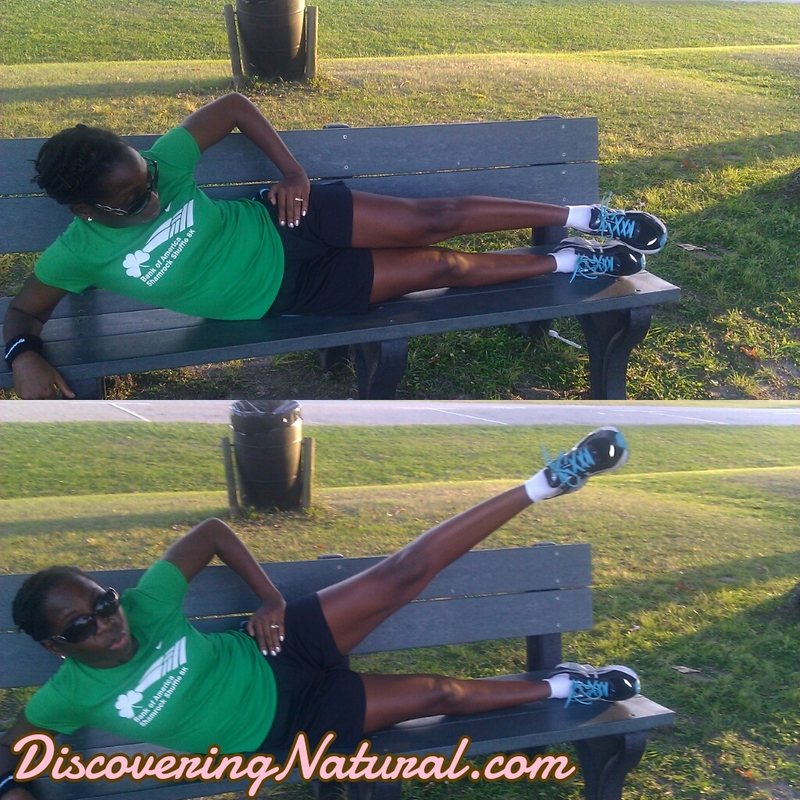 Works out your hips and thighs. Do you have any workout tips? Share below. Today is Picture day for Big Sis at her school. She informed me of this on Wednesday evening. At first, I was angry at whoever scheduled picture day on a Friday! The best day to have picture day is on a Monday ... in my opinion. Why? Well, because you have at most three days to prep for the best do. Anyway, I decided to do bantu knots out. As you can tell from the post heading...it failed. After she got back from school on Thursday, I detangled her hair with EVOO and V05 Milk Moisture Conditioner. 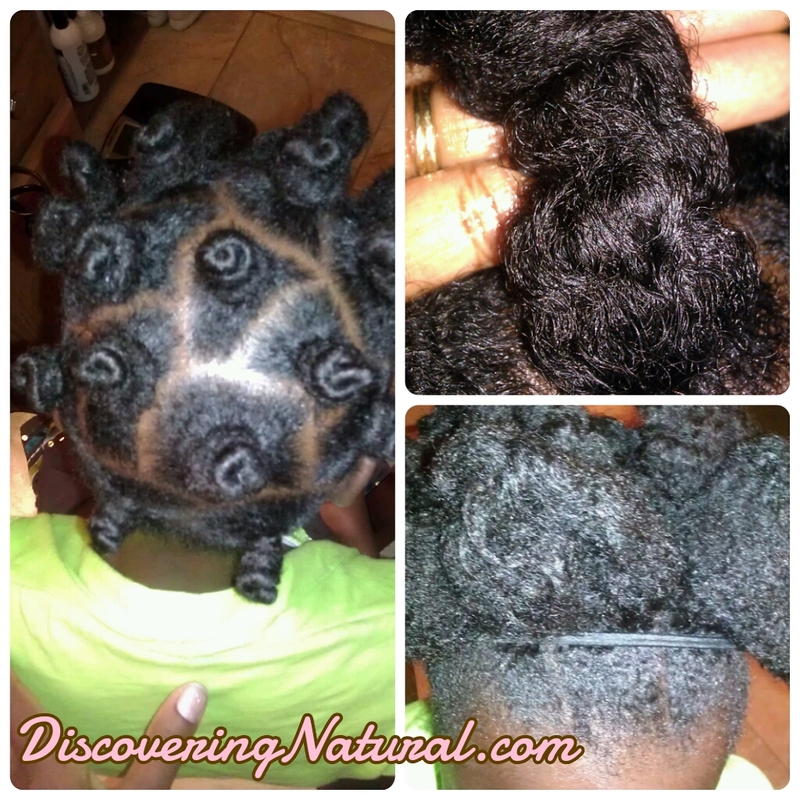 She had a little breakage because last wash day, mommy dearest did not do a deep conditioning. NEVER EVER EVER EVER skip deep conditioning. Big Sis was not too happy about this, and I have assured her that Mommy has learnt from her mistake. My reason for skipping this crucial step was lack of time. When detangling was done, I co-washed her hair with Tresemme Naturals Conditioner, and did a 2 hr intense deep conditioning with Eden BodyWork All Natural Deep Conditioner. Prior to rinsing out the deep conditioner, I let her hair cool down for 15 mins and slathered Tresemme Naturals on top of her hair before rinsing it off. Her hair was soooo fluffy and soft. I love it!! To do the bantu knots, I applied the leave in conditioner, massaged her scalp with the oil mix, and to each section, I applied Shea Moisture Curl Enhancing Smoothie and Eco Styler Gel Argan for hold. Due to time constraint, I dried the knots for about 15 mins with my hand dryer on Warm-Low setting. 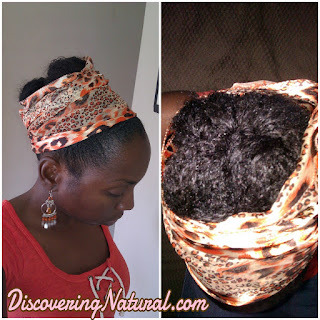 I applied Eco styler gel to her edges, and tied it down with a satin scarf. She went to bed without her bonnet so that the knotted area could dry. She always sleeps on a satined covered pillow. This morning... the top of the knots was dry but the inner part was still damp.. Argghhhh!! So, I converted the bantu knot out to a puff! Can't go wrong with a puff!!! I am SO excited about today's post! My new growth is one year's old today!! Yeah!! I have had an amazing one year... learnt so much... met so many people that have helped me on my journey. Please watch the video above to hear about my experience during this first year of transitioning. Thanks to all of you for going on this journey with me! !